This year, the Valentine’s Day will be in the week of the Chinese New Year. While the first of the Chinese New Year will come before the lover’s day, Lenovo have decided to put up their sales campaign for the Valentine’s Day instead of calling it a CNY campaign. Anyways, I always think that notebooks and netbooks make great gifts unless you are the one buying it! 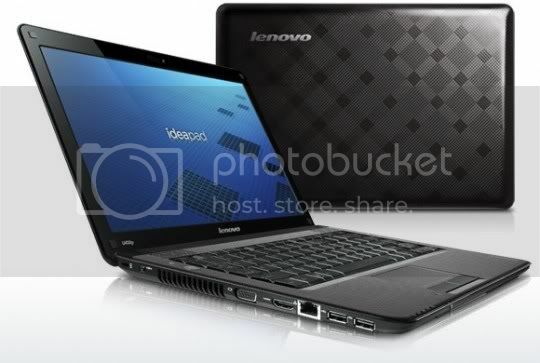 Lenovo IdeaPad U450P is my pick for this round because its specifications are rather strange. It is branded as “Ultra Mobility on the website but for this particular model, it ships with a 14” LCD, which is quite contradicting since 11” and 12” LCD are certainly more portable. The most disappointing area is the battery; a 4-cell one. Therefore the battery life certainly will not be spectacular. Which is again contradicting since the notebook uses a low-voltage processor to save power and yet using a 4-cell battery means this is like using a 6-cell notebook with a more powerful processor. Contradicting? You probably save some weight because of the smaller battery but its quite marginal I think. Aside from my ramblings, I think it’s good to mention that the prices are certainly competitive in my opinion, not the cheapest but not that expensive either.